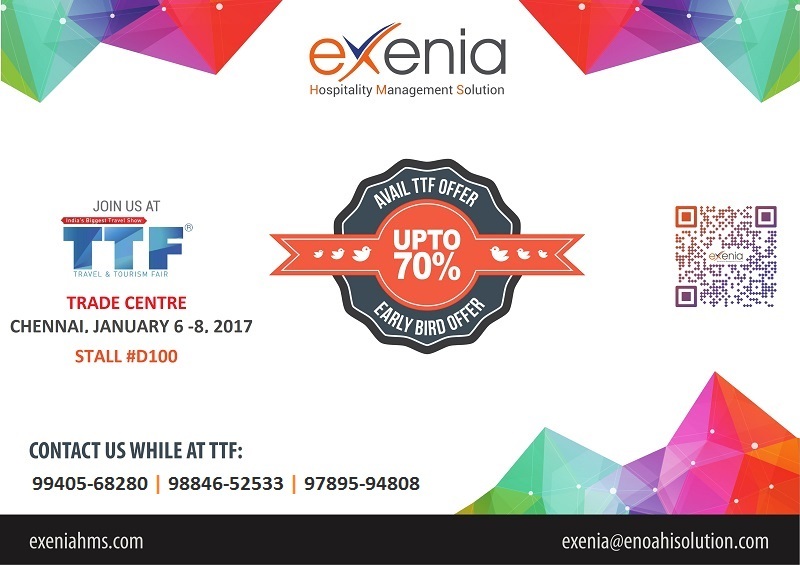 eNoah is showcasing its eXenia (Hospitality and Property Management Solution) at Travel & Tourism Fair 2017, Chennai. TTF is India’s largest travel trade show network. Since 1989, it provides an annual marketing platform and the opportunity to network with the travel trade in all major cities.